Bold and intense, these orange werewolf contact lenses are perfect for Halloween. 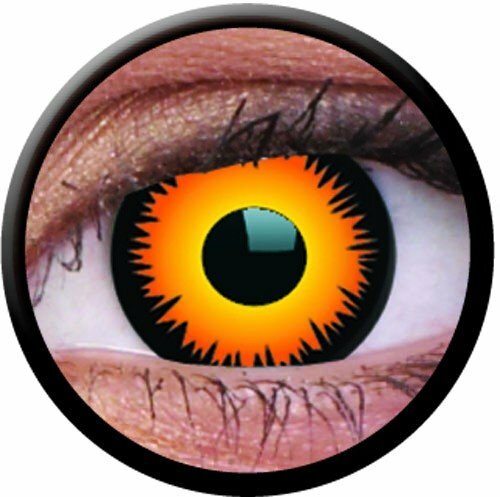 These lenses have an orange and yellow centre with a jagged black outer ring. They look very dramatic and will really make your eyes stand out.